Alan Grayson is skeptical of the Syrian army chemical attack. 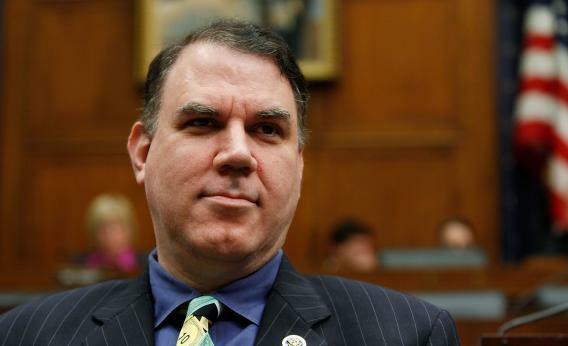 Rep. Alan Grayson, D-Fla., doesn’t see the merit in a U.S. intervention in Syria. For someone who is used to being dismissed as a “crazy” liberal, even by his Democratic peers, Rep. Alan Grayson is surprisingly pragmatic. He’s helped pass more amendments than any of his colleagues in the House. He successfully amended a homeland security bill to include a ban on drones by appealing to his GOP colleagues with a libertarian streak. So it may not come as a surprise that he joins Sen. Rand Paul in voicing hesitation over a possible intervention in Syria. We join you and the international community in expressing unequivocal condemnation over the news that chemical weapons were reportedly used by the government of Syria. While we understand that as Commander in Chiefe you have a constitutional obligation to protect our national interests from direct attack, Congress has the constitutional obligation and power to approve military force, even if the United States or its direct interests (such as its embassies) have not been attacked or threatened with an attack. As such, we strongly urge you to seek an affirmative decision of Congress prior to committing any U.S. military engagement to this complex crisis. While the ongoing human rights violations and continued loss of life are horrific, they should not draw us into an unwise war—especially without adhering to our own constitutional requirements. We strongly support the work within the United Nations Security Council to build international consenseus condemning the alleged use of chemical weapons and preparing an appropriate response; we should also allow the U.N. inspectors the space and time necessary to do their jobs, which are so crucial to ensuring accountability. As elected officials, we have a duty to represent the will and priorities of our constituents, consistent with the Constitution we all swore to uphold and defend. Before weighing the use of military force, Congress must fully debate and consider the facts and every alternative, as well as determine how best to end the violence and protect civilians. We stand ready to work with you. The debate they want (and what we should expect) isn’t as procedural so much as humanitarian, and the British government is already preparing its own rebuttal.